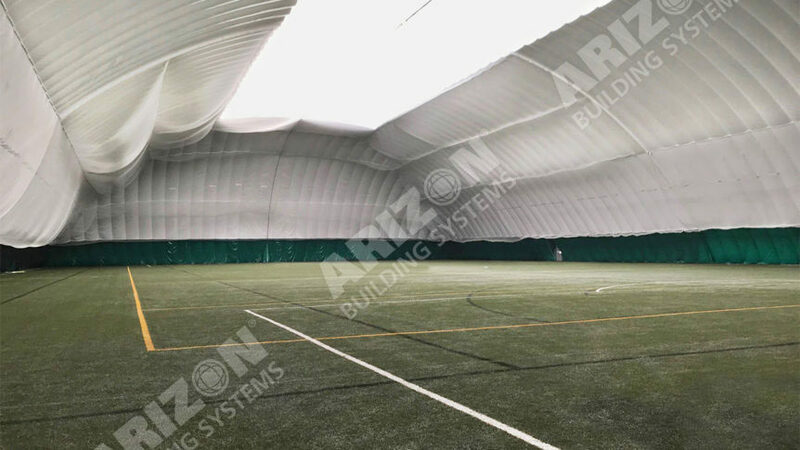 Arizon Building Systems provided Utah Valley University with a 98,400 square foot multisport dome. The dome includes a translucent skylight, LED lights, gray exterior fabric, interior golf netting, and a vehicle airlock. To learn more about the Wolverine Training dome visit gouvu.com.